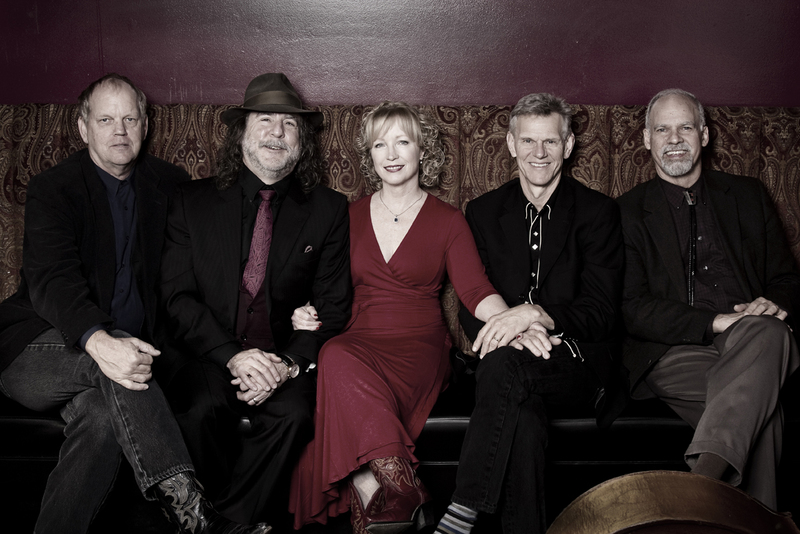 Susie Glaze & The Highlonesome Band are coming back for a fourth appearance at Caltech! They have been likened to the classic British bands Pentangle and Fairport Convention in that they blend classic folk music with rough-edged stories of tragedy and fate, all with orchestral arrangements sounding like chamber music gone folk! A lush newgrass Americana folk fusion quintet presenting gorgeous eclectic blends of mountain folk and exciting new grassy and Celtic-inspired originals, all with the remarkable voice of Susie Glaze. Their most recent studio CD White Swanwas released in March of 2013 to critical acclaim from No Depression, FolkWorks, Pop Matters, M Magazine for Musicians, Music News Nashville and FolkWords UK among others, and it has been charting in the Top 50 on the Roots Music Report’s Combined Internet and Terrestrial Folk Chart since it’s release in March of 2013. Susie Glaze has been honored to be included on the newly-released Compass Records tribute album Dear Jean – Artists Celebrate Jean Ritchie alongside such artists as Judy Collins, Pete Seeger, Janis Ian, Tim O’Brien, John McCutcheon, Robin and Linda Williams and many more.